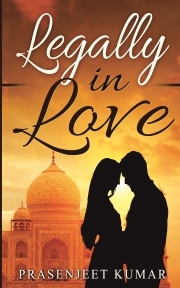 Description of "Legally in Love"
From the Amazon #1 Best Selling Author Prasenjeet Kumar comes his debut Legal Romance Novel that will bring a smile to your face and tears to your eyes. If you love reading clean and wholesome romance, buy a copy now. And enjoy! Prasenjeet Kumar is the author of over 25 books in four genres: Romance-Fiction, motivational books for introverts (the Quiet Phoenix series), books on self-publishing (Self-Publishing Without Spending a Dime series) and cookbooks (Cooking In A Jiffy series). 43 titles so far have also been translated into French, Japanese, Spanish, Portuguese, Italian, and German. Reviews of "Legally in Love"